Enjoy all the comforts of home in this wonderful corner condo suite! 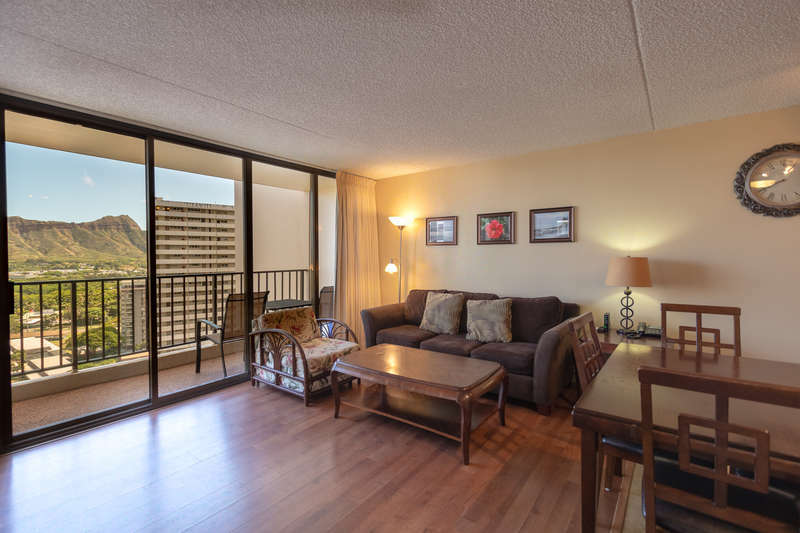 Very affordable updated Waikiki Banyan condo only one block from world famous Waikiki Beach! 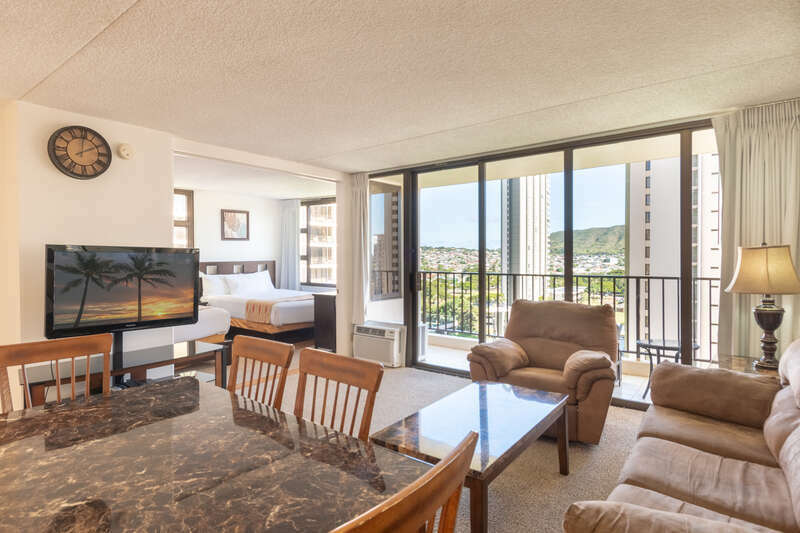 The condo is on the 14th floor with city and pool views and a partial view of Diamond Head. Enjoy a fully equipped kitchen and comfortable seating in the living room. Kitchen includes refrigerator, range, microwave, rice maker, coffee maker, and other standard kitchen wares. It has a delightful backsplash and granite countertops. There is bar seating along the wall as well as a dining room table that seats four people. 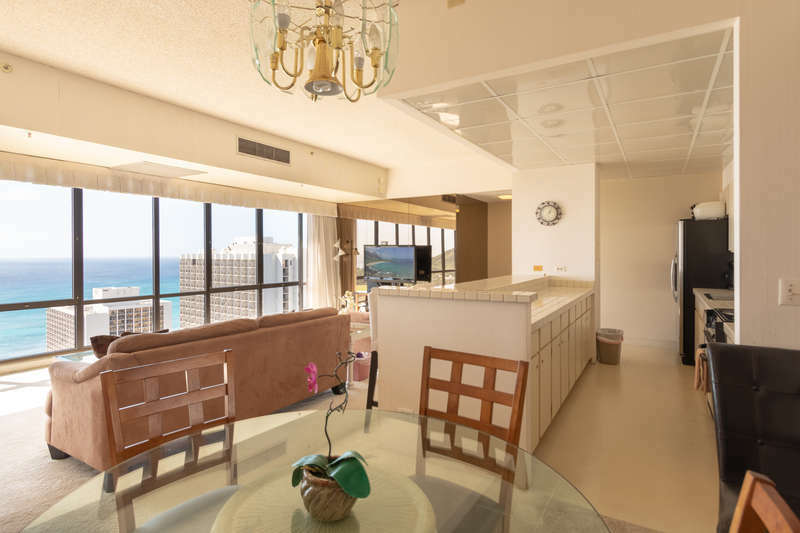 Island theme decorations and furnishings brighten up this condo unit. There is laminate wood flooring in the living areas and tile in the kitchen. Sleeping arrangements include two full-sized beds in the bedroom and a futon style sofa sleeper in the living room. There is a door between the vanity and toilet for added privacy. Bathroom features a hand shower for your comfort.